Back in August I was given the opportunity to try out a couple of products from the Aime Natural Skincare range. I had briefly come across them via Twitter and remember thinking when I looked at their website how pretty their packaging was. I was sent their Morning Clear Purifying Facial Wash and their Morning Dew Matte-Finish Moisturiser to try out. 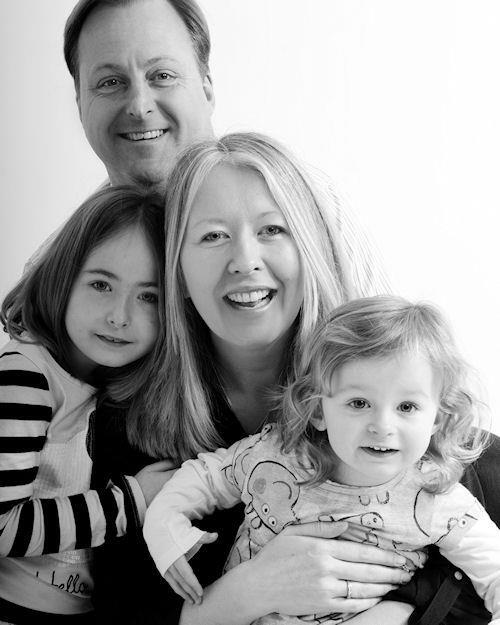 Aime was created by leading beauty expert and ex-Estee Lauder executive, Fiona Parkhouse and was created initially for her own daughter, Samantha. As most teenagers find out extra-oiliness and breakouts on their skin are common place and Samantha was experiencing these concerns along with sensitive skin. Not wanting to aggravate this with products that stripped the skin and made it dry and itchy, Fiona worked with leading dermatologist, Dr Susan Mayou to create an effective natural solution which became Aime. Although initially created for young skin, Aime have found that women of all ages have benefited from their range. Just because we aren’t still in our teenage years doesn’t mean we don’t get breakouts or spots and oily areas. I can vouch for that having had oily / combination skin since my teenage years. I think that’s why I have a passion for finding effective natural skincare for this age group that works. Your teenage years can be stressful enough without feeling the need to hide your face away from the world too. And now I’m heading towards my menopausal years, hormones will start to rear their ugly head once more to test my resolve, so skincare ranges like Aime can be welcome relief to those of us who still suffer from those annoying oily t-zones. Aime’s products are made using 95% natural ingredients and are pH balanced and dermatologically tested. Their skincare range does not use parabens, mineral oils, petrochemicals, SLS, GMOs. They do not test their products on animals and do not use any animal ingredients. All their products are suitable for vegetarians and vegans. So, what did I think of the products which I was sent to try out? This cleanser comes in cute pink packaging which will definitely appeal to the teenage market. It has harmonising natural extracts of orange blossom, mayblossom, elderflower and raspberry. The facial wash is a cream facial wash cleanser rather than a gel. It doesn’t foam in any way. You add water and massage into the skin, then rinse off. It left my skin feeling lovely and clean, with a slightly matt feel to it. Over a period of weeks I noticed my pores were clean and smaller. Overall it was good but I wasn’t sure of the fragrance. I will go into this subject a little later on in this post. Aqua (water), Caprylic/Capric Triglyceride, Theobroma Cacoa (Cocoa) Seed Butter, Cetearyl Alcohol, Glycerin, Cetyl Esters, Polysorbate 60, Sorbitan Stearate, Synthetic Beeswax, Phenoxyethanol, Elthylhexyglycerin, Parfum (fragrance), Prunus Amygdalus Dulcis (Sweet Almond Oil), Betaine, Panthenol, Citrus Auranthium Amara (Bitter Orange), Flower Extract, Rubus Idaeus (Raspberry) Fruit Extract, Sambucus Nigra Flower Extract, Crataegus Monogina Fruit Extract, Benzophenon-4, Sodium Hydroxide, Benzyl Salicylate, Citronellol, Hydroxycitronellal, Limonene, Disodium EDTA, Potassium Sorbate, Sodium Benzoate, Sorbic Acid, CI 15510 (Orange 4), Cl 17200 (Red 33). This moisturiser comes in lemon packaging and again is very appealing. If you buy with your eyes as well as other factors, then I think you will be drawn to this range. It uses harmonising natural extracts of vitamin E, bilberry and rosehip. Aqua (water), Glycerin, Cyclopentasiloxane, Glyceryl Stearate SE, Myristyl Myristate, Cyclohexasiloxane, Dimethicone, Arachidyl Alcohol, Behenyl Alcohol, Arachidyl Glucoside, Dimethicone Crosspolymer, Nylon-12, Parfum (Fragrance), Inulin Lauryl Carbamate, Sodium Polyacrylate, Betaine, Xanthan Gum, Rosa Canina Fruit Oil, Tocopheryl Acetate, Vaccinium Myrtillus Fruit Extract, Saccharum Officinarum (Sugar Cane) Extract, Citrus Aurantium Dulcis (Orange) Fruit Extract, Citrus Medica Limonum (Lemon) Fruit Extract, Acer Saccharum (Sugar Maple) Extract, Phenoxyethanol, Biosaccharide-Gum-1, Ethylhexylglycerin, Benzophenone-4, Benzyl Benzoate, Benzyl Salicylate, Hexyl Cinnamal, Hydroxycitonellal, Linalool, Butylphenyl Methylproppinal, Limonene, Sodium Hydroxide, Disodium EDRA, Cl 19140 (Yellow 5), CI 15510 (Orange 4). Now for the purpose of this review I used this moisturiser for a few weeks, but I found it hard. I am not a big fan of synthetic fragrance (parfum) and I have a nose which can pick it up a mile off. Before I transitioned to natural and organic skincare, I used the ‘Simple’ range because I found most of the other mainstream ranges too overpowering with their scents. Sadly the fragrance used in this moisturiser did not agree with me (the one in the facial wash was less overpowering) and because it was on my face, the aroma lingered. However, it’s all about preference and what works for one person doesn’t always work for another. The moisturiser itself was effective and left my skin with a nice matte finish. It was a good base for my foundation and on that point I cannot fault it. I asked Aime about the ‘parfum’ issue and also about the fact that they use colour in their products. I personally don’t see a need to have colour in skincare products. For me how they feel and smell is more important. Also, it’s about how they nourish my skin above all else which is key. Aime explained that where they do use colour it is Food, Drug & Cosmetics approved colours. With regards to their fragrance, they have relied either on the natural fragrance of their plant, fruit and botanical ingredients, or else used very low levels of fragrance, each hand-picked to have as few potential allergens as possible. Amie believe that synthetic fragrances are safer for sensitive skin as they contain the least amount of potential allergens (citronellol, limonene, linalool, etc) as all other fragrance types carry a risk of allergic reaction. I have to say that I’m not sure I agree with Aime on the fragrance issue here particularly for sensitive skin. So we will have to agree to disagree on that one. I prefer harnessing nature’s own fragrance through essential oils where possible. I understand that not everyone can use products with them in, and personally I would therefore go for a range which was either fragrance free or used other gentle botanicals, like Neal’s Yard Remedies’ Starflower range for sensitive skin. However, I think if you are looking for a range of skincare to transition yourself from mainstream products to a more natural range then Aime is a good place to start particularly if you like the more typical synthetic fragrance mainstream products have. It will also appeal to the teenage market because of the very appealing packaging. On this one Aime score highly. I love the fresh, colourful feel of the range. 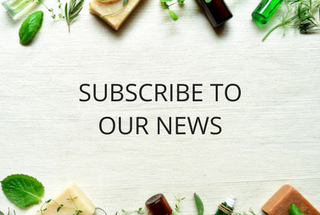 If you’d like to find out more about Aime’s skincare range then you can pop across to their website, follow them on Twitter or find them on Facebook. 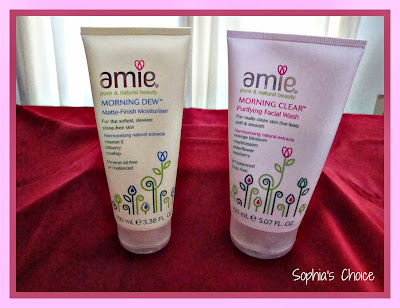 Have any of you used Aime’s range of skincare and if so, what has been your experience. I’d love to know your thoughts. If you'd like to keep up to date with new posts then you can subscribe by email, Bloglovin, follow me on Google+, Pinterest or Twitter or give me wave on Facebook. Disclaimer: I was given a 150ml tube of Morning Dew Facial Wash and a 100ml tube of Morning Dew Matte-Finish Moisturiser to use and review for this post. All views, thoughts and feelings are my own and no one else’s. HealGel Intensive – Well I Wasn’t Expecting That ! Celebrating Our 1st Blogging Anniversary Today ! All blog content © Charlotte Hughes, Sophia's Choice 2012 - 2016 - All rights reserved. Powered by Blogger.